In 2008 Jeanne, a native of eastern Kentucky, was told the story of a little girl who wanted to attend church, but didn't have any shoes. The senior pastor's wife bought her a pair of flip- flops from the dollar store. From this story, Jeanne, & her husband David, started this ministry of the heart known as Project Happy Soles. This ministry has grown to now providing winter clothing, school supplies, complete meals for the holidays, Christmas presents, college scholarships and more. We believe the scriptures to be clear regarding meeting the material needs of those who can't provide for themselves. For us, children are at the top of that list though we do minister to struggling adults in ways that will encourage and empower them. 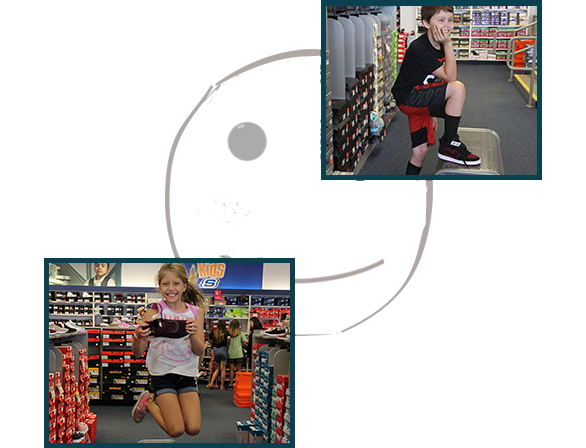 Each Happy Church kid gets a new pair of shoes for school. When the weather starts getting cold Happy Soles provides coats, hats, scarfs, and gloves. Book bags full of age appropriate materials are distributed prior to school to help give every child a better opportunity for success. Families and churches from all over love "adopting" a kid for Christmas. The Happy Church has a huge Christmas Party each year at the local community college gymnasium to host over 200 children and as many adults for food, fun, Christmas presents, and a gospel presentation. Truly a wonderful time! Sadly, there are people, especially children, who go hungry and do without in the U.S. Happy Soles is making a difference in our community. Within a few months of starting the Happy Church, a child came and found a bag of "Hot Fries" and started eating them. Pastor Mike watched as the young boy ate the fries even though he was tearing up from the "heat". It was then that pastor Mike decided food will always be provided at the Happy Church. Shortly after this decision, John and Chris Jacobson came on board and miss Chris' giftedness in this area was truly a Godsend. 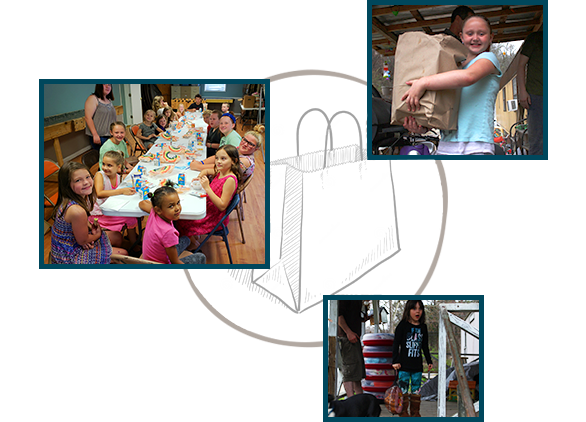 Through many families from other churches, Happy Soles is able to provide complete meals to about 100 families every Thanksgiving, Christmas, and Easter. This is possible because families "adopt a family" by providing the funds or material for a family in need. Thanksgiving and Christmas are always at the end of the month when funds are depleted. One child even told us "that was the first Thanksgiving dinner I ever had". The Happy Church gives adults requesting food assistance food boxes after attending a service or small group class. If they contact us between days of services we have "survival rice" provided by "A Child's Hope International" to sustain them until the first available meeting. With this ministry, we hope to meet a deeper spiritual need as we provide for their physical needs. Sir Francis Bacon said "Knowledge is power". Solomon said "To the person who pleases him, God gives wisdom, knowledge and happiness,..." The Happy Church has the goal of instilling trust in God through Jesus Christ. This pleases God and allows Him, through the Holy Spirit, to lead us. Continuing education is a great way to grow in knowledge, and confidence. Happy Soles provides funding for continuing education in several forms. Happy Church teens who graduate high school can receive scholarships to help with tuition and books to the university of thier choosing. The scholarship fund can also help with college visits. Happy Soles provides the funding for high school students wishing to get a head start on higher education by taking "Dual credit" classes from the local college. 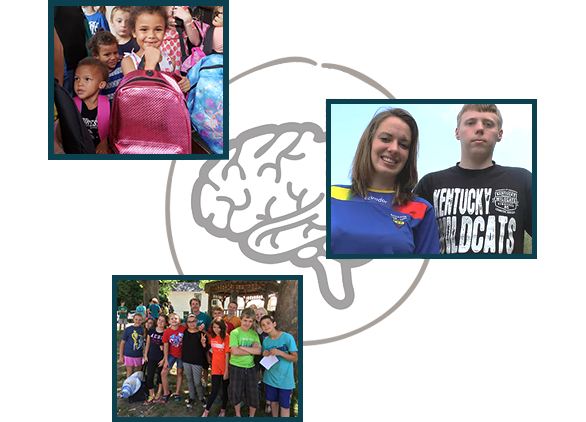 Happy Soles provides the opportunity for many children to attend camps and conferences each year.